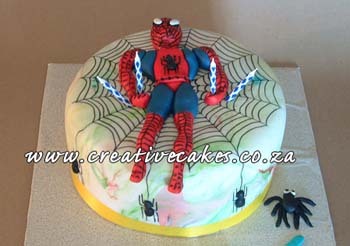 The pose on this cake was based on a special request by a customer. I must admit that I wasn't sure whether it was going to work, but he was adamant that this is what he wanted. 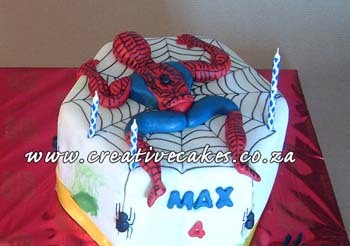 I went ahead and the spiderman crawling over the cake looked rather nice (and unusual) in the end!